Discussion in 'VaporJoes USA' started by VaporJoe, Nov 9, 2018. 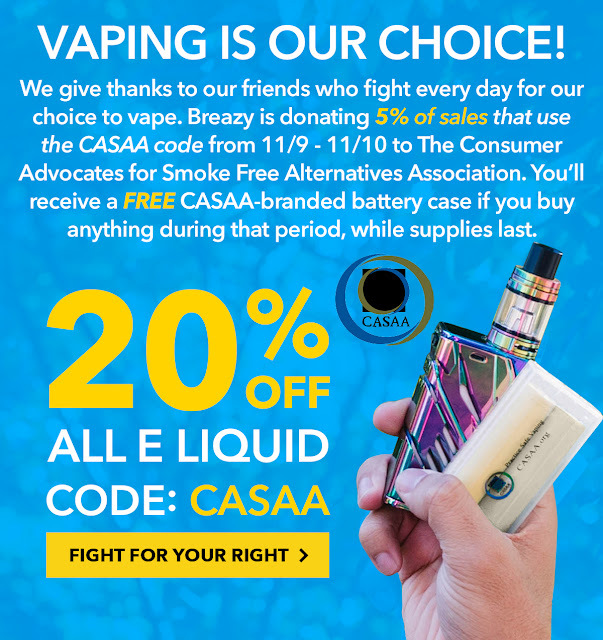 Breazy stands with CASAA and is running a deal and donating at the same time. For the next 24 hours Breazy will donate 5% of sales to CASAA and all orders get a CASAA branded battery case. If you want to help out a good cause and save money - here is your chance.